(Bizuayehu Tesfaye/Las Vegas Review-Journal) April Parks, a professional guardian appointed by Clark County Family Court to protect hundreds of vulnerable people, enters a courtroom at the Regional Justice Center on Monday, Nov. 5, in Las Vegas. Parks accepted a plea bargain and will be sentenced Jan. 4. 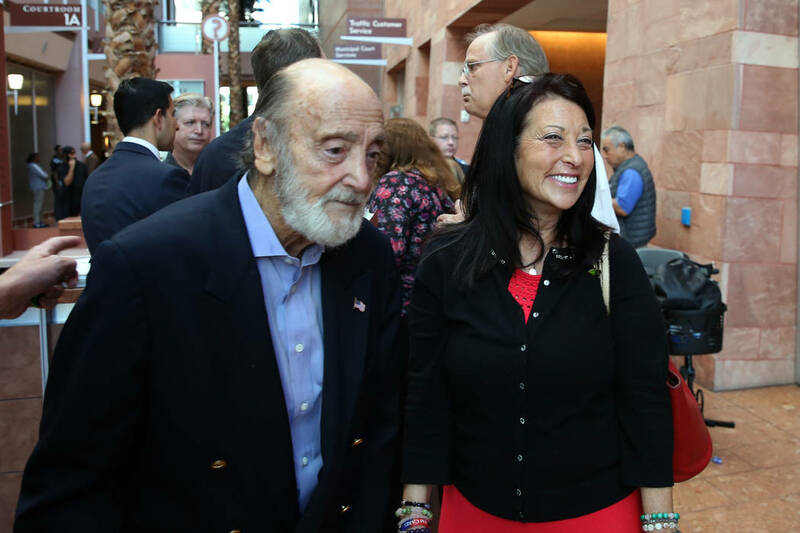 (Bizuayehu Tesfaye/Las Vegas Review-Journal) Rudy North, 80, left, and his daughter Julie Belshe leave the Regional Justice Center in Las Vegas, where North's ex-legal guardian, April Parks, pleaded guilty Monday, Nov. 5. As an inmate, she pleaded guilty Monday, Nov. 5, to exploitation, theft and perjury charges. 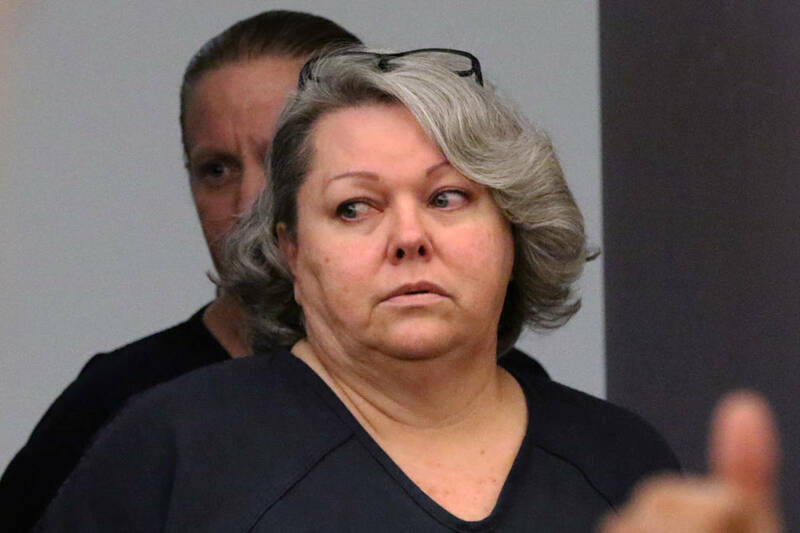 The hearing came more than a year after she was first indicted for swindling many of the elderly and infirm in her care. Her business, A Private Professional Guardian LLC, was based in Boulder City. In her amended indictment, Parks in accused of exploiting Jerome and Beverley Flaherty out of more than $708,000. Another has her exploiting about 40 others out of nearly $418,000. Simmons faces a maximum prison sentence of 54 years. Taylor’s plea agreement recommends a sentence of 24-60 months in prison. Simpson Palmer will receive the recommendation of probation in exchange her cooperation. Parks, Simmons and Taylor have been in the Clark County Detention Center since their arrest in March 2017. Belshe now works as a guardianship reform advocate. She said the past five years fighting for her parents, who now live with her, have been trying.